This section collects Education stories from WUNC News & other sources. Raleigh businessman Bob Luddy is an education entreprenuer who envisions a chain of affordable private schools. Legislation making its way through the General Assembly may make that vision easier to achieve. Dave Dewitt reports. Two bills making their way through the State Legislature have the potential to dramatically change public education in North Carolina. The first is a public charter school bill that is likely to pass. It will raise the cap on the number of charter schools in the state and make other changes that would make it easier to open and operate a charter school. The State Legislature is making good on its promise to change laws that govern charter schools. But some public school advocates say the current bill is too far-reaching. The North Carolina Governor’s Highway Safety Program has awarded Johnston County a $20,000 grant to battle teen driving crashes. County spokesman Robin Gurgainus says there have been 39 teenagers killed in accidents in the past six years, giving Johnston the second-highest rate in the state. "A lot of these accidents are single-car accidents due to speed and not wearing a seatbelt. You know, I was a paramedic for 5 years. If you don’t wear a seatbelt, a minor accident can kill you." Wake County’s new school superintendent takes office officially today. Tony Tata takes the reins of a school system facing major challenges. 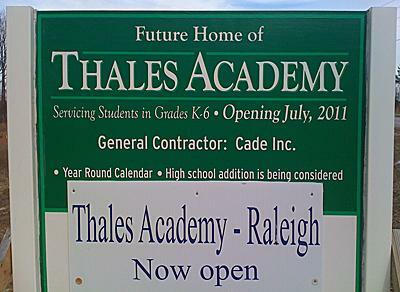 Tata’s background is already well-known to those who pay attention to the Wake Schools. He’s a retired brigadier general with less than two years experience in education, hired by a deeply divided school board. He made positive impressions even on his detractors during a series of formal and informal events earlier this month. And even with a looming budget crisis, Tata will likely be judged on the issue of student assignment. Duke University is expanding its offerings in the history of economics. The university received a grant for a fellowship and visiting scholars program, and a summer teaching institute. Bruce Caldwell is an economics researcher and founder-director of Duke's Center for the History of Political Economy. He says this field is rarely studied anymore. Advocates for people with mental health disabilities are crying foul over a rule proposed by the state board of community colleges to screen students who might be a threat. The proposed rule has been under consideration since last fall. It would allow community colleges to deny admission to students who are deemed to be an 'articulable, imminent and significant threat.' The rule was approved by the state board Friday. Megan Hoenk works for the state board of community colleges. She says the rule doesn't mandate anything. Criticism of the Wake County School Board's decision to do away with the diversity policy is growing. The latest wave of criticism came after a page one story appeared in the Washington Post last week, linking the Board Majority to the Tea Party. That prompted the U.S. Secretary of Education to weigh in in a letter to the editor. The disagreement between the Wake County School Board and the agency that accredits its high schools will continue. The School Board voted last night not to drop the accrediting agency. The Board deliberated for two hours before deciding to send another letter to AdvancED. The letter will ask the accrediting agency to limit the scope of its investigation. The vote was the latest in a months-long fight. It began when the North Carolina NAACP sent a letter of complaint to AdvancED, claiming the Wake School Board was not living up to its policies. The spat between the Wake County School Board and the agency that accredits its high schools may soon come to an end. The result may be that the high school lose their accreditation. Accreditation is a voluntary process. School districts like it because it gives them an idea of what may be working and what isn't. But when AdvancED told the Wake School Board it was launching an investigation in the fall, the republican majority on the School Board balked. They felt AdvancED was overstepping its authority. Student assignment is again on the agenda at five public hearings in Wake County. Tony Tata is spending more time in the Triangle today. The retired brigadier general is the new superintendent in Wake County. Wake County has a new School Superintendent. Anthony Tata was confirmed Thursdaynight in a 4-to-2 vote by the Wake County School Board. Tata is not your every day public school administrator. He’s a West Point graduate and former brigadier general who writes Tom-Clancy style thrillers. 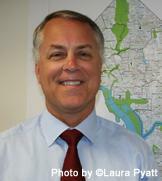 Most recently, he was Chief Operating Officer at the Washington DC schools, in charge of purchasing and operations. The year and a half he spent in that job is his only experience in education. The Wake County School Board is apparently on the verge of hiring a new superintendent. Donna Haargens has served in the position as an interim since the spring. Erskine Bowles is spending his last few days as president of the UNC system. Tom Ross takes over in January. The Erskine Bowles Era was defined in his first few years by streamlining the 17-campus UNC system - and then, in the final years, because of the recession, fighting for dwindling resources. NC State has received the largest gift in the University's history. Lonnie and Carol Johnson Poole have given $40 million, most of it to the College of Management. Lonnie Poole is a graduate of NC State and founded Waste Industries USA in 1970. He led an investor group that took the company private for $550 million in 2008. $37 million of Poole's $40million gift will go to the College of Management at NC State. That school will now be named for him. $2.5 million will go towards building a clubhouse at the university's golf course. The Wake County School Board is one step closer to hiring a new superintendent. The new leader will be faced with several challenges involving the state’s largest school district. A new superintendent will deal with a significant budget shortfall, a federal Title VI investigation, and a review by the agency that accredits the county’s high schools. On top of that, the school district’s top administrator will also inherit a deeply divided School Board. That Board met last night behind closed doors. They interviewed candidates earlier this month at a hotel in Raleigh. Jessica Jones has this profile of the band. 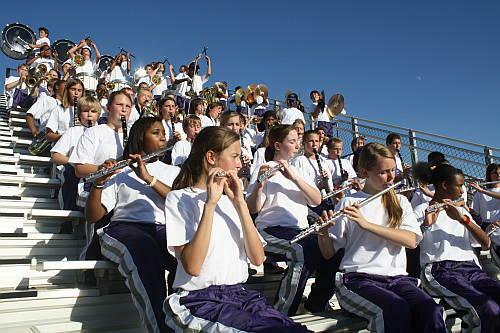 At many middle schools, students have the option of enrolling in band classes to play music. But very few have their own marching bands. Northern Middle School in Greensboro is an exception to that rule. The band has made quite a name for itself in parades and concerts across the state. In fact it's so good that it has been invited to play at college football's Gator Bowl in Jacksonville, Florida on New Year's Day. State education leaders are warning lawmakers that double-digit budget cuts will affect university and community college classrooms. The Wake County School Board meets later today. One item on the agenda is a discussion on a revised student assignment plan for next year. President Barack Obama will be in North Carolina today visiting students at Forsyth Technical Community College. President Obama’s visit is the highlight of a year of celebrations at Forsyth Tech. The community college is 50-years-old. For the first time in the school’s history – Forsyth Tech has more than 10-thousand students enrolled. Many of the students are laid off workers or those insecure about their current jobs. Gary Green is president of Forsyth Tech. He says President Obama’s visit means a lot. A new Republican majority on the Wake County Board of Commissioners plans to undo some efforts passed by the old Democratic majority. A lot is expected to happen later today when the Wake County Commissioners meet for the first time with new members. The Republican Majority will rescind a resolution that expresses “deep concern” over the re-segregation of the Wake County schools. The county commissioners have financial oversight over the schools. The anti-re-segregation resolution passed last April. 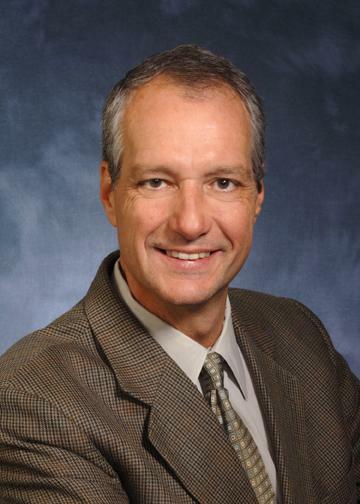 NC State has hired a provost. Chancellor Randy Woodson announced late this afternoon that Warwick Arden will assume the job as the University’s top academic officer. The NAACP is holding a national education summit in Raleigh this week. 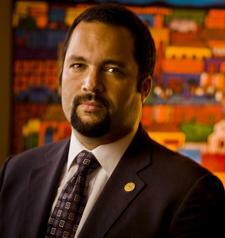 The event will be highlighted by a keynote address from Ben Jealous, the president of the national NAACP. Ben Jealous last spoke in Raleigh in September at the Christian Faith Baptist Church. Jealous announced then that the NAACP was filing a complaint with the federal government against the Wake County Schools. Chapel Hill town officials are considering permanently moving the public library to University Mall. They voted to put on hold an expansion project at the library’s current site on North Estes Drive. This after the owner of the mall offered to sell the space currently housing Dillard’s department store. Officials estimate the move would save taxpayers close to 4 million dollars. They say the new location would be more accessible. A year ago today a new School Board was sworn-in in Wake County. The four new members represented a new majority, elected by an average margin of 68%. They promised to radically alter the way students were assigned to schools. But nobody expected what was to come over the next twelve months.